Are you a fan of a certain Italian restaurant? Personally, I can’t get enough of the lunch soup and salad–in fact, I love it so much that I make my favorites at home on a pretty regular basis. My favorite is Copycat Zuppa Toscana Soup Recipe and while it’s not the same salad, I absolutely love this Italian Chopped Salad–hello, just add the restaurant’s Salad Dressing and you’re good to go! Pair it up with some delicious Hazelnut Cheesecake Layered Dessert, and you’ve got a meal ready to go. The perfect starter and accompaniment to soups, salads, pastas, and entrees of all types, these bread sticks keep you coming back for more. They are addictive and delicious. The light seasoning makes them practically melt in your mouth. You might as well plan on making a double batch because the first few will be gone before you know it. This recipe takes simple ingredients that you probably already have in your pantry–which means these copycat bread sticks could be on your dinner table tonight! These copycat breadsticks are just like the ones served in restaurants. Add salt, melted butter and about 2 cups of the flour. Knead dough for about 5 minutes, adding more flour as necessary. Spray baking pan with cooking spray. Divide dough into small balls, large enough to fill about 1/3 cup. Make larger if desired but not too large as your bread will rise. Roll and shape dough into cigar shapes. Place in baking pan at least 1 inch apart. Let stand for about 1 hour, covered a clean cloth. Bake 7 minutes at 375F. While baking, combine melted butter, garlic powder/seasoning and salt for brushing. A Great recipe, we will love this one! Thanks so much for sharing with Full Plate Thursday and have a great day! There was a glitch on the website with the recipe plugin but the recipe is now there. I can save you lots of time for these. 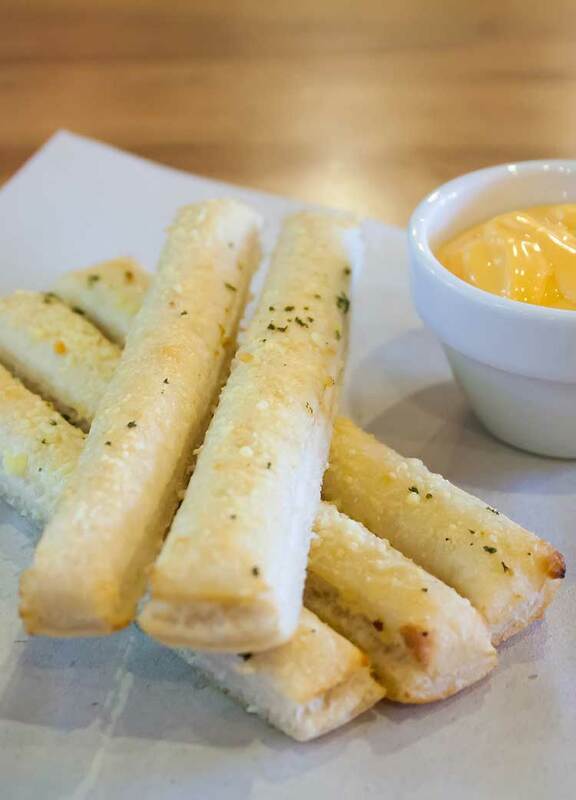 Olive Garden just buys Gai’s brand bread sticks you can get at any supermarket and brushes them with garlic butter. Yours however look far more delicious!!! These look great but I don’t see a recipe anywhere…. The recipe is there now. Sorry, looks like there was an error. It looks amazing! 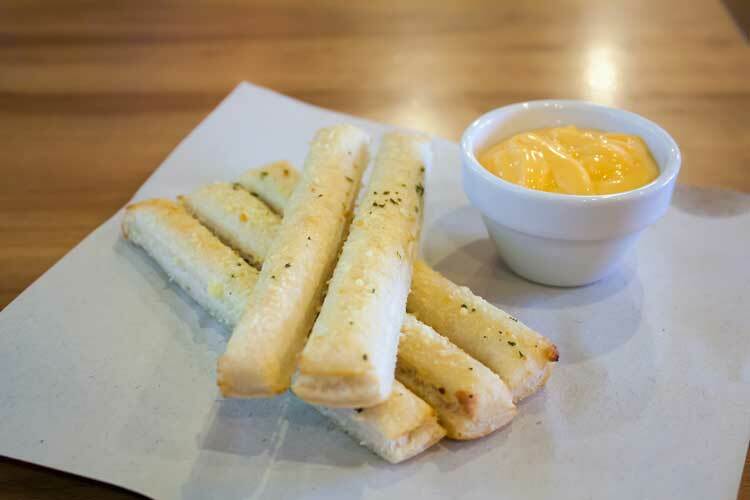 How many breadsticks does this make at 5 or 6 inches long? The bread recipe calls for 1 tbsp salt? Should that say 1tsp? Good catch! I’ve updated the recipe. Thank you.